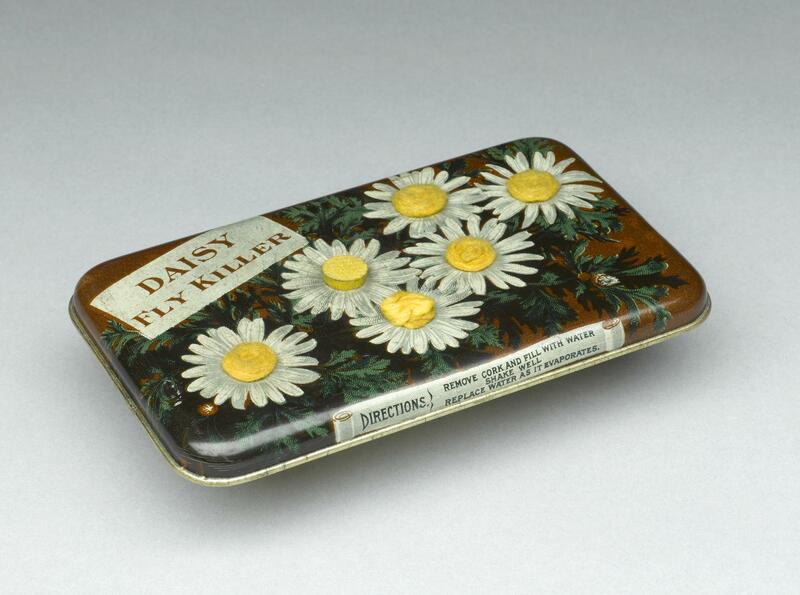 Tin of 'Daisy' fly killer, by Harold Somers, New York. 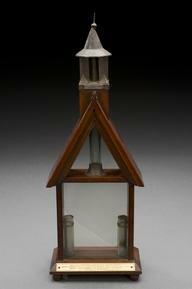 Full frontal view, closed tin, pale grey background. 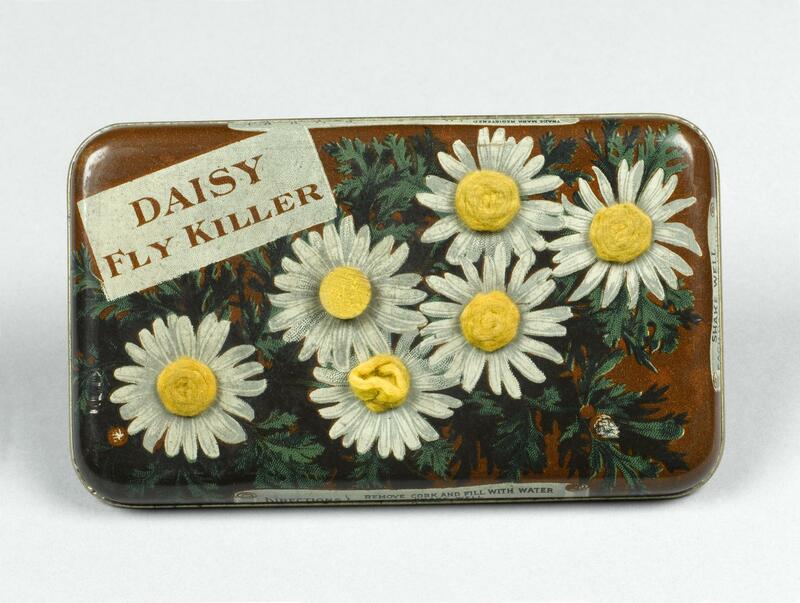 Priced at $1.55 (approximately $34 dollars today, or £17), the ‘Daisy Fly Killer’ was used in the home to kill flies and insects. The insects landed on innocent looking daisies that were actually soaked with a poisonous solution. The insect killer was reusable by adding more water to the poison granules in the tin. The ornamental design meant that the fly killer was not blatantly obvious in the home. 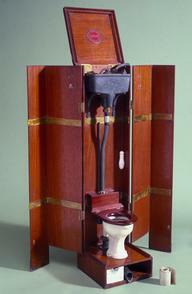 Harold Somers patented his product on 28 February 1888.